When was the last time you were alone in a room with a Van Gogh, let alone 3 Van Goghs, a Manet, and a Rodin? It was 4:00 on Monday, and I had “The Plain at Auvers” (1890), with all it’s luminous, obsessive, expressive brushwork, to myself. 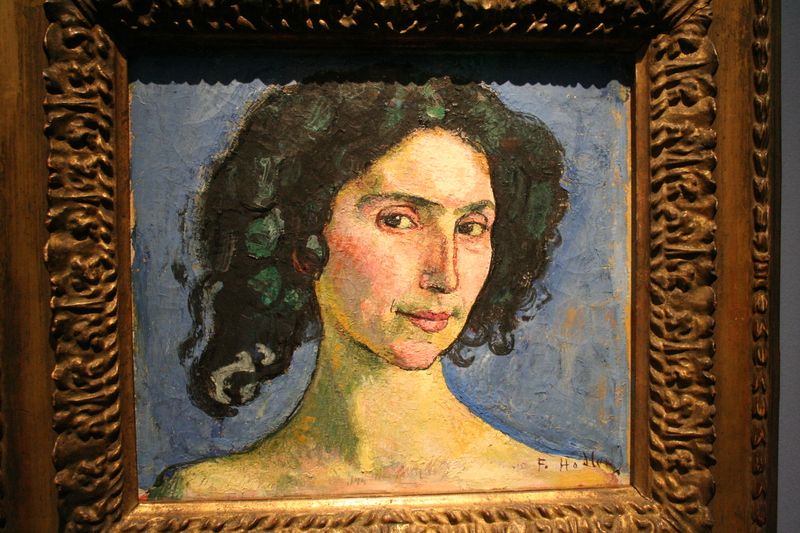 I couldn’t believe it — I was the only body in the French Impressionism Gallery of the Neue Pinakothek, one of Munich’s marquee museums. Never had I been in a museum of this stature, on a day open to the public, and been such a solitary observer of such stupendous art — I was going to soak it up until the lights shut off and security kicked me out… which they did, chirping a friendly “tschuss” as they locked the door behind me. 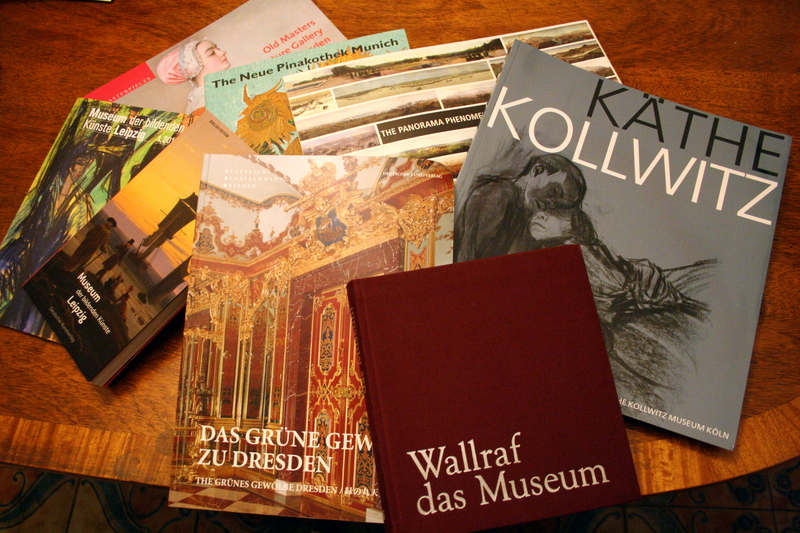 For the most part, my experience at the Neue Pinokothek is representative of my visit to the other 10 museums I hit while running from Germany to Austria and back again. Where were all the people? With stenciled walls and cozy lavender galleries, the museums I visited in Germany were a refreshing change from the whitewashed, tourist-packed monoliths that are my homes away from home in New York. In general, the collections are smaller, more accessible, and more focused — as long as my feet held up, it was easy to tour and digest multiple museums in one day. Leipzig is a city undergoing serious urban renewal. The oldest building in the city has been under silver sheet metal for the last 20 years and was only uncovered while I was there; the main market is being dug up while the buildings around it are being “restored.” My first wanderings around town didn’t prepare me for the treasure trove that is the Museum der Bildenden Kunst. 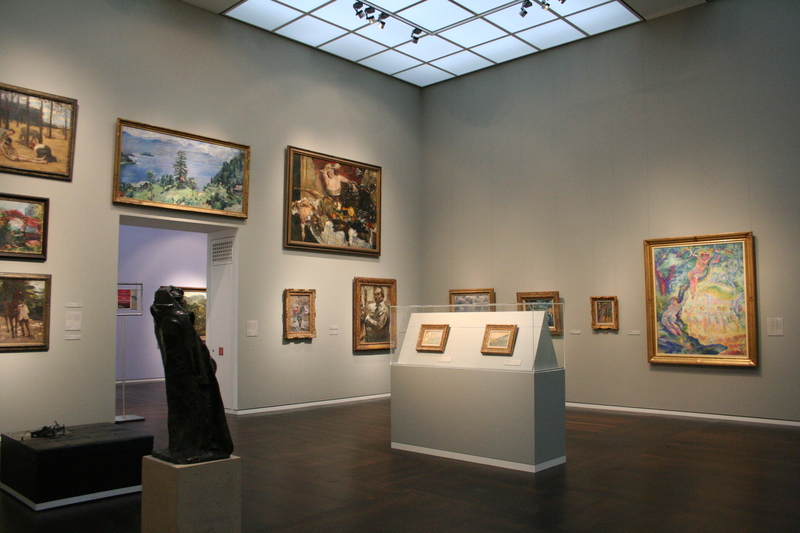 Dedicated in large part to its native artists, the Leipzig collection is perhaps the best deposit of the work of Max Klinger (1857-1920), including his jaw-dropping monument to Beethoven. Klinger is best known outside of Germany for his portfolio of etchings entitled “Ein Handschuh” (A Glove), but he was also a brilliant sculptor and painter who melded styles and media to create truly stunning, unforgettable works of art. I was also pretty excited that there were 2(!!) Expressionist shows on while I was there — a selection of Kirchner’s drawings, on loan from Berlin, and “Vom Freber Bessen Rudiger Berlit und Der Expressionisms in Leipzig.” The space for all of this art is brand-spanking-new and fantastic — high ceilings, lots of light, comfortable galleries. It’s no wonder the German Fencing Federation chose it as the site for the Leipzig World Cup final gala. The Green Vaults of Dresden are kunstkammers at their most opulent. Imagine rooms filled to the brim with objects carefully, painstakingly, masterfully crafted from amber, ivory, silver, tortoise shell, and precious gems. I had never seen so many diamonds, so many emeralds, so many rubies — it’s a wonder there are any left on today’s market! Massive clocks with moving figurines, a cherry-pit craved with 185 individual faces (apparently, there was one in the collection with 210 faces, but it went missing… i blame a squirrel), model ships carved from ivory, a secretary that was a mosaic of amber — a never-ending collection of glitzy, showman-y “stuff.” The tour of the two vaults took approximately 2 hours, during which time my jaw was constantly dragging on the floor. The highlight? The massive 40.7 carat green diamond that sits in its own room near the exit of the New vault. It’s set with still more diamonds (one of which is 19 carats). Imagine… it’s a hat ornament! Now that’s some serious bling. The Wallaf-Richartz Museum made me like medieval art. 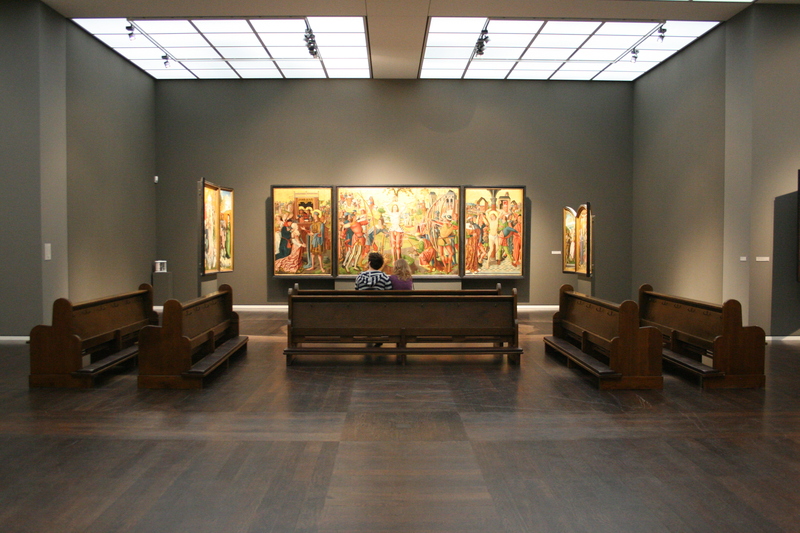 Yes, this Modernist finally found a place in her heart for religious icons outside the work of Natalia Goncharova. Thanks largely in part to colored walls that enhanced the gilt of the paintings, a lack of crowds, the witty placement of pews in the galleries, and enthusiastic security guards who wanted to show me all their favorites, I gained the appreciation for the art of the 13-15th centuries that the Met failed to inspire. 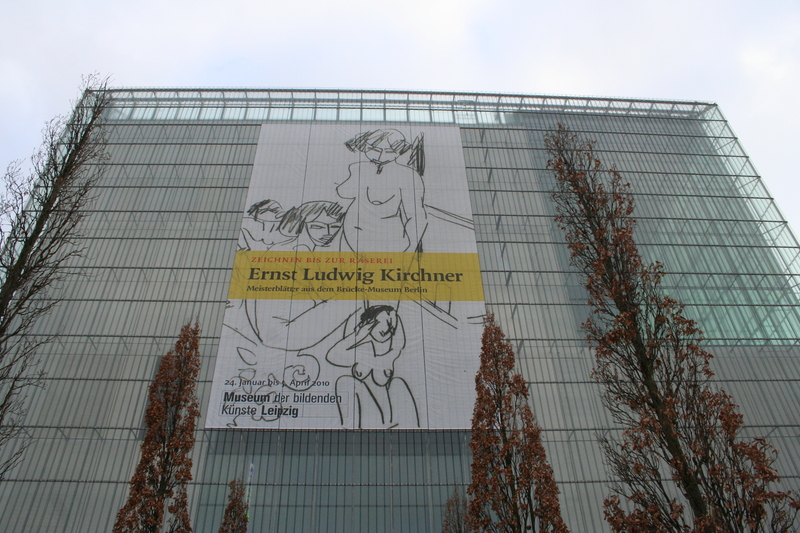 This was the last museum I toured in Germany and was easily my favorite. From its gift store (which would have made MoMA proud) to its lovely collection of 19th century paintings, I liked it all.